Sail through Central Europe’s splendid capitals and charming towns in Hungary, Slovakia, Austria, and Germany on your Danube River cruise. 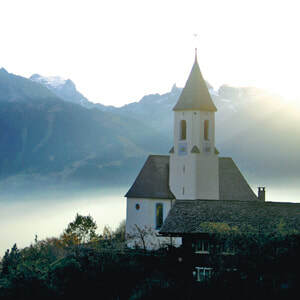 You’ll also be our guest in the Bavarian village of Oberammergau for the once-a-decade performance season of the world-renowned Passion Play. Your European river cruise begins in Budapest, Hungary to enjoy a guided sightseeing tour of Heroes’ Square and the iconic sites of the “Pearl of the Danube.” Next, set sail for the Slovakian capital of Bratislava to see the Old Town and the gothic St. Martin’s Cathedral. You’ll cruise to Vienna, Austria to see the Habsburg Imperial Palace and Vienna Opera House. Later savor the spectacular views of the Wachau Valley through Austria’s picturesque wine country. Enjoy a local wine tasting, join a hike to Dürnstein’s castle ruins, and visit Melk’s stunning Benedictine Abbey. Your Danube River cruise continues to Linz, where you will see Austria’s largest medieval square—the Hauptplatz, and the 1723 Trinity Column. Enjoy a guided city walk through the cobblestone streets of Passau, Germany and the magnificent St. Stephen’s Cathedral. As the cruise portion of your Central European vacation concludes, you’ll begin an exciting guided tour of Austria and Germany, including Bavaria’s Neuschwanstein Castle, and Innsbruck’s St. James and Hofkirche Cathedrals. 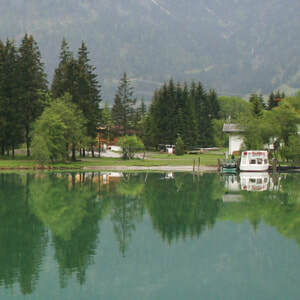 This guided vacation through Germany is highlighted by your visit to the idyllic Bavarian village of Oberammergau for the Passion Play. Performed only once a decade, the Passion Play is a stunning theatrical event with a history dating back to 1634. 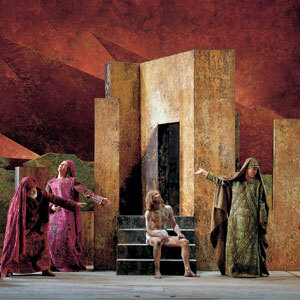 Enjoy preferred seating and accommodations in Oberammergau for the Passion Play. Enjoy guided sightseeing in Munich, including Nymphenburg Palace, the Marienplatz, and gothic Frauenkirche. Sample Munich’s Biergärtens and cafés, and see the famous Glockenspiel. The perfect blend of adventure, relaxation, and inspiration—your Avalon Danube River cruise with the once-a decade performance of Oberammergau’s Passion Play—is truly a once-in-a-lifetime experience. 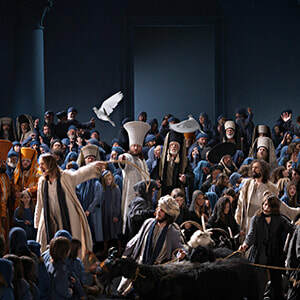 This vacation, which includes tickets for the world-famous Oberammergau Passion Play, requires an additional deposit of $350 per person in February 2019. You've always forged your own path...with your own distinct perspective of looking at the world. 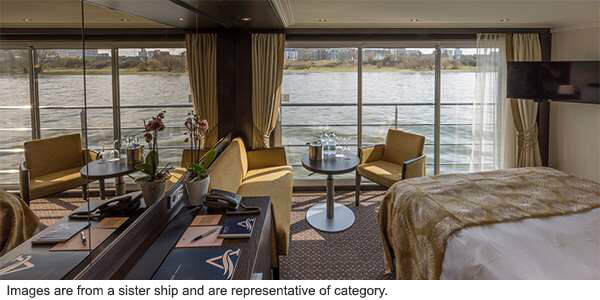 Avalon Waterways presents a river cruise experience with your unique style in mind—offering expansive views and wider perspectives. That's why we've used our 90-plus years to design a cruise experience that's just a bit different. Here are just some of the features and amenities you'll experience on board our Avalon ships.